If consumer credit were a video game, hitting an 800+ credit score would also come with pixelated fireworks and those coveted words. Because it’s true — when your credit score is in the 800 to 850 range, you’ve done it; you’ve won the credit score game. Congratulations! You are now among an elite group of super prime credit users. Other consumers want to be you, and creditors want to lend you money. You can now have your pick of most credit cards and loans, as well as enjoy the lowest rates and fees available. At their core, credit cards are much like magic — they’re only bad when misused. 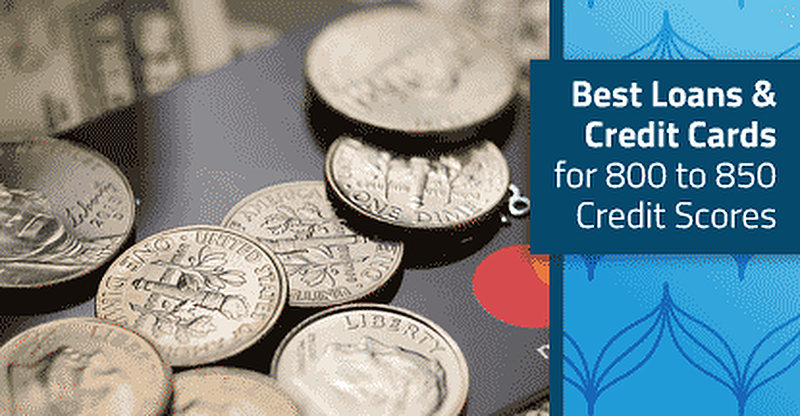 When used responsibly, however, credit cards can be a fantastic financial tool. Indeed, for cardholders who pay them off in full each month, credit cards hold very little risk, as the vast majority of cards won’t charge interest fees on balances paid in full by the due date for that billing cycle. Moreover, credit cards can unlock significant value through purchase rewards — who doesn’t want to fly for free? — as well as benefits that include hotel elite status, airport lounge access, and exclusive partner discounts and deals. 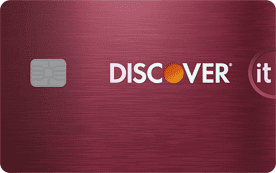 The very first Discover Card launched in 1986 with no annual fee and higher-than-normal spending limits, immediately garnering it popularity. The introduction of Discover’s now-iconic cash back rewards program cemented the card’s place in the wallets of millions of Americans. Today’s Discover credit cards have come a long way from those early iterations, but some things still hold true. Discover’s cards all come without annual fees, for instance, and those famous cash back rewards are still around — and, arguably, they’re better than ever. The Discover it® Cash Back offers a super high 5% cash back rewards rate on up to $1,500 in purchases that fall into rotating bonus categories. Bonus categories change each quarter, giving you a different way to earn 5% cash back every three months when you activate your bonus. Bonus rewards categories include a range of useful purchase types, with past categories including gas stations, grocery stores, restaurants, and Amazon.com. Purchases that don’t fall into the bonus category — or those beyond the bonus category spending cap — will earn an unlimited 1% cash back, automatically. Cash back rewards can be redeemed in a few clicks through your online banking portal or mobile app. Perhaps one of the most convenient parts of Discover’s cash back rewards program, however, is that you don’t have to wait until you reach some arbitrary cap to redeem; you can do so at any time, with no minimum redemption amount. Keep in mind that while an 800+ credit score will easily qualify most consumers for this card, Discover will look at your entire credit profile before making a decision. Additionally, Discover limits the number of simultaneous personal Discover cards to two per person. Capital One is another popular credit card issuer that has been responsible for disrupting the credit card industry essentially since its inception. For years, one of the biggest problems with travel rewards credit cards has been actually redeeming those rewards while working around the numerous blackout dates and brand restrictions. The Capital One® Venture® Rewards Credit Card was one of the first travel rewards cards to offer another option. Rather than being limited to certain airlines, hotels, and dates, users could redeem their Venture rewards at any time, to cover travel with any airline or hotel — or even car rental agencies and parking lots. To redeem Venture miles on existing travel purchases, users can select qualifying travel transactions through their online account or mobile app. Cardholders can also redeem for future travel by booking through Capital One’s travel portal, but this may forfeit the benefits of buying directly from the airline/hotel or bonus rewards for booking through hotels.com. The flexible Venture miles earned by Capital One® Venture® Rewards Credit Card users has become the standard for non-transferable travel rewards — but Capital One’s travel rewards program hasn’t stopped there. As of December 2018, Venture miles can also be transferred to more than 10 airline partners, giving cardholders even more ways to redeem. Earning Venture miles with the Capital One® Venture® Rewards Credit Card is just as easy redeeming them, as you’ll earn an unlimited 2X miles per dollar spend on your card, with no categories to track or activate. Users also earn 10X miles per dollar on hotel purchases made through hotels.com/venture. As with several other issuers, Capital One limits the number of credit cards you can have open at one time, restricting consumers to two personal cards per person. Capital One business credit cards don’t count toward the two-card personal limit. From the very first days of its launch — and its historic 100,000-point signup bonus — the Chase Sapphire Reserve® has been considered one of the best rewards credit cards available on the market. Cardholders’ ability to earn a then-untopped 3X points per dollar on both travel and dining purchases instantly won it a place in wallets around the country. And those bonus categories are remarkably broad. Travel expenses can include anything from airline and hotel purchases to parking and tolls, while eligible dining purchases can be from any establishment that codes as a restaurant, including both dine-in and take-out restaurants. Of course, as important as — if not more so than — the number of rewards the card earns is the type of rewards: Ultimate Rewards® points. Chase’s flagship points program is frequently considered to have the most valuable points out there thanks to its redemption versatility. Specifically, Ultimate Rewards® points can be redeemed for the standard cash equivalents — a statement credit or gift cards — but it’s the travel redemption options that really shine. To start, you can redeem for blackout-free travel through Chase’s travel portal; Reserve cardholders will earn 1.5¢ for each point with this option. However, it gets better. Cardholders can also transfer Ultimate Rewards® points to one of a dozen hotel or airline loyalty programs, turning those points into branded frequent flyer miles or hotel points that can be pooled with your existing loyalty rewards. What may be the biggest downside to the card — besides the hefty annual fee — is that it falls under Chase’s 5/24 Rule. This means that applicants who have opened five or more credit cards within the last 24 months will be automatically rejected for the card, perfect credit score notwithstanding. The Wells Fargo Propel American Express® Card has had several iterations in its lifetime, but the latest version is arguably the best yet. This card proves you don’t need to pay a huge annual fee to get quality rewards on dining and travel purchases, offering 3X Go Far Rewards® points on eligible purchases. What’s more, Wells Fargo has some of the broadest travel and dining categories around. Eligible travel purchases not only include the standard airfare and hotel stays, but also include gas station purchases, rideshares, and homestays, while dining purchases cover everything from eating out to ordering in. The icing on the Wells Fargo Propel American Express® Card cake is its third bonus category: select streaming services. With this category, cardholders will earn the same triple points as with dining and travel on a selection of popular music and video streaming services, including Hulu, Netflix, and Pandora. While the Wells Fargo Propel American Express® Card offers solid earnings rates, it’s not quite apples to apples with other points cards thanks to its somewhat limited redemption options. In the end, points are worth a maximum of 1¢ each, a per-point value easily eclipsed by programs with transfer partners. That being said, this card can still hold a ton of value for nearly any user even at 3% back for each category, especially when you consider that there are no annual fee or earnings caps. So, unlike some other rewards cards, you can enjoy a competitive rate on every qualifying purchase, no matter how much you spend. Furthermore, not only does this card charge no annual fee, but it also offers an introductory 0% deal on both new purchases and balance transfers — both of which are fairly rare among cards that offer travel and dining bonuses. For anyone who needs to finance a large purchase over several years, personal installment loans can be an invaluable tool, offering simple financing without the usage restrictions common to other types of loans (auto and home loans, for instance). With a credit score over 800, you should have little trouble finding and qualifying for an unsecured personal loan; indeed, your credit score will likely also unlock the lowest rates and fees for that loan. Your excellent credit score can also help with your loan size. Though your income will also be a factor, an 800+ credit score often means you can qualify for larger loans than those available to people with similar incomes but lower credit scores. One of the most convenient aspects of finding a loan with excellent credit is that most, if not all, lenders will be happy to help you out, which means you won’t need to go from lender to lender looking for approval. Of course, you’ll still want to investigate a few lenders to find the best loan terms. A simple way to compare multiple loan offers is to use an online lending network, such as PersonalLoans.com. With a broad network of lending partners, PersonalLoans.com can help borrowers connect with multiple lenders, all with a single application. PersonalLoans.com offers loans with a variety of terms, with loans ranging in size from $2,000 up to $35,000. Together with a decent income, someone with an 800+ credit score should easily qualify for a loan in the upper end of the range. Typical loans from a PersonalLoans.com partner lender will have a term length from three months up to six years (72 months), though your individual terms can vary based on your needs, income, and loan size. Funds can be obtained in as little as one business day, though some loans may take longer to disperse. With a name based on the idea that unsecured loans are borrowed on the power of your signature, SignatureLoans.com is another online lending network that allows borrowers to connect with an array of lenders from around the country to find the right personal installment loan. SignatureLoans.com advertises funding in as little as 24 hours from its partner lenders. Loans can be obtained in amounts from $1,000 up to $35,000, and with loan terms as long as six years (72 months), which gives you plenty of time to pay off your loan. As an online lending network, SignatureLoans.com acts as the middleman between its network of lending partners and prospective borrowers. However, it’s important to note that online lending networks don’t actually finance the loan, and you won’t make any payments to the lending network itself. If you find a lender and loan offer that meets your needs, you’ll be directed to the lender’s website to finish the loan process. It’s there that you’ll receive the full loan agreement and final loan terms. The average transactions price for a new vehicle in the U.S. is a remarkably large $37,000 — which is only about $13,000 less than the typical American makes in an entire year. And, of course, if you’re looking for a luxury vehicle or electric car, be prepared to shell out twice that (or more). As many of us know firsthand, the high ticket price on our fancy computer-studded vehicles these days has made it so that auto loans are a virtual necessity to buy a vehicle. Happily, having a credit score above 800 means you’re all but guaranteed to receive a fantastic interest rate on your next new (or used) car purchase. Since your interest fees are based on your interest rate, a low rate can reduce the overall cost of that new car by thousands of dollars over the course of a six-year, $35,000+ loan. As with every other industry, digitization is spawning all sorts of changes in the financial industry, and auto lending is no exception. Online lending and dealer networks are popping up, offering car buyers an easy way to find the right financing for them. Auto Credit Express is one such online dealer network. The site has partnered with car dealers from around the country to help borrowers find the right dealer in their area, all from a single, simple online application. The offers you receive will be based on many factors, including your credit profile, income, and existing debts. With a great credit score and reasonable income, you likely won’t have much problem qualifying for a loan for most new vehicles (though a trade-in vehicle can also help if you need a larger loan than you’re offered). Similar to other online lender and dealer networks, Auto Credit Express itself has nothing to do with your loan or your vehicle purchase. Once you choose one of the network’s partners, you’ll start communicating with the dealer directly to find a vehicle and complete the process. Ah, the mortgage loan. With one little piece of paper — alright, so it’s more like 25 pieces of paper — and some signatures, a lender hands over a six-digit check… which you promptly hand over to the seller of whatever home you’re purchasing (or, more likely, their agent). As a member of the exclusive super prime club, potential homebuyers often have a remarkably easy time finding a mortgage loan, often at market-bottom interest rates, to boot. Of course, other factors will also come into play beyond your credit score, including your income and your existing debt, which is typically calculated as your debt-to-income ratio, or DTI. Your region or city may also impact your loan process, as will the specific property you wish to purchase. Before you commit yourself to a 30-year, six-digit debt, it’s important to understand all the ins and outs of that debt. For instance, with such a large loan, over such a long period of time, even the smallest difference in interest rates can equate to thousands of dollars by the time you’re all paid up. That’s where an online lending network, like LendingTree.com, can be a blessing in the home shopping process. LendingTree.com has a huge network of mortgage lenders from across the country, and, with an excellent credit score, all of those partners will likely be competing for your business. LendingTree.com users can fill out one easy application and receive up to five separate loan offers from the network’s lending partners. This makes it easy to see, at a glance, which loan offers the best terms — including the lowest interest rate. Unlike other types of loans, of course, mortgages aren’t entirely as simple as “apply and start spending.” Depending on the type of loan and the property you select, you may need to go through additional steps before the loan is finalized. Few things are quite as satisfying as knowing you’ve reached a major goal or milestone — like that coveted “You Win!” and satisfying credit scroll at the end of a good video game. Reaching the top tier of credit scores, the 800 to 850 range, is a huge credit milestone, and one that should be appreciated (and, if you like, celebrated.) The pinnacle of creditworthiness, an excellent credit score puts most of the credit world at your responsible fingertips. Of course, that excellent credit score can be lost far more easily than it was gained. Be sure to maintain your excellent score by paying every bill on time, keeping low utilization rates, and being cautious about opening new credit lines.